WASHINGTON Baby boomers started driving at a young age and became more mobile than any generation before or since. They practically invented the two-car family and escalated traffic congestion when women began commuting to work. Now, 8,000 of them are turning 65 every day, and those retirements could once again reshape the nation's transportation. How long those 74 million people born between 1946 and 1964 continue to work, whether they choose to live in their suburban houses after their children leave home or whether they flock to city neighborhoods where they are less likely to need a car will have important ramifications for all Americans. If boomers stop commuting in large numbers, will rush hours ease? As age erodes their driving skills, will there be a greater demand for more public transportation, new business models that cater to the home-bound or automated cars that drive themselves? Retiring boomers: Are roommates in your future? 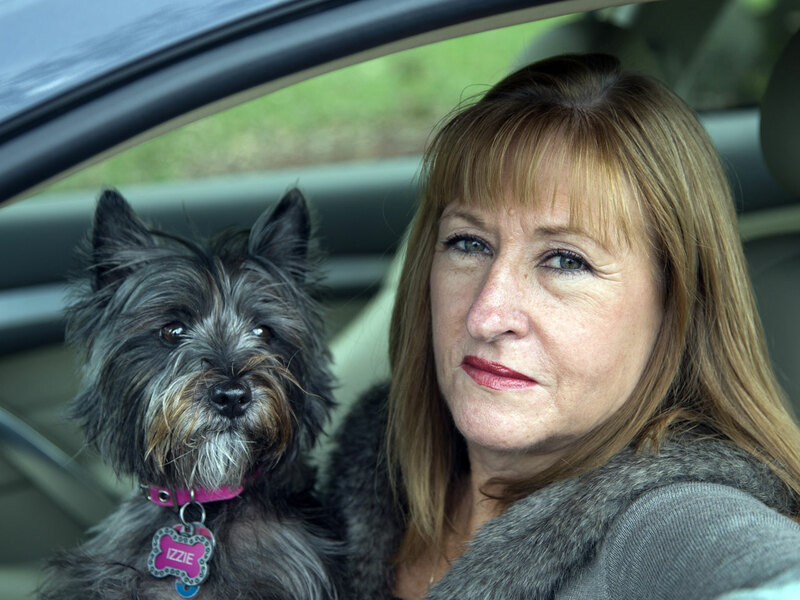 Aging drivers face inconsistent rules across U.S. It was the boomers who made "his" and "hers" cars the norm when they started building families and helped spread a housing explosion to the fringes of the nation's suburbs. Traffic grew when boomer women started driving to work like their husbands and fathers. With dual-earner families came an outsourcing of the traditional style of life at home, leading to the emergence of daycare, the habit of eating out more often and the appearance of more and more cars and SUVs. This generation "has been the major driver of overall growth in travel in the United States and that has had a tremendous impact over the past 40 years in how we have approached transportation planning," said Jana Lynott, co-author of a new report by the AARP Public Policy Institute, an advocacy group for older Americans, on how boomers have affected travel in the U.S. The report is an analysis of national surveys by the Federal Highway Administration of Americans' travel patterns since 1977. The most recent survey, conducted in 2009, included over 300,000 people in 150,000 households. As a result of changes over the last four decades, driven in part by baby boomers, the number of vehicles in the U.S. has nearly tripled, the report said, and total miles traveled has grown at more than twice the rate of population growth. Since 1977, travel for household maintenance trips -- a category that includes doctors' appointments, grocery shopping, dry cleaning and the like -- has grown fivefold. The average household ate out once a week in 1977. By 2009, the average household was eating out or getting meals to take home four times a week. But what really caught transportation planners flat-footed was the soaring growth in traffic congestion in the 1980s after large numbers of women started commuting alone in their cars, said Nancy McGuckin, a travel behavior analyst and co-author of the AARP report. Highway engineers, who hadn't anticipated the consequences of the women's movement and dual-earner families, had just finished building the interstate highway system only to find it insufficient to meet the demands of the new commuters, she said. Now that boomers are beginning to move into a new phase of life, their travel patterns and needs are expected to change as well. People tend to travel the most between the ages of 45 and 55, but taper off after that. "With this immense slug of the population sliding off their peak driving years, we would have to expect total travel might go down a bit," said Alan Pisarski, author of the Transportation Research Board's comprehensive Commuting in America reports on travel trends. If millions of baby boomers start driving less, it would reduce gas tax revenues, which is used to help states maintain highways, subsidize public transit and fund other transportation repairs and improvements. Federal gas tax revenue is already forecast to decline as mandatory auto fuel economy improvements kick in. There are signs boomers may already be slowing down. The rate of growth in travel in the U.S. began slowing in 2006. Actual miles traveled dropped sharply during the 2008 recession and now appear to have leveled off. But boomers could defy expectations again by remaining more mobile into their retirement years than past generations. "It doesn't matter whether they were in their 20s and 30s or approaching retirement, they are still traveling more than those who came before them or those who came after them," Lynott said of boomers. Most boomers live in the suburbs and are expected to remain in the homes where they raised their children even after they become empty nesters. The housing bust has also trapped many older boomers in large homes whose values have fallen, sometimes below the balance of their mortgages. A shift in the housing market with long-term implications may already be occurring as leading-edge boomers appear less interested in age-restricted communities than their parents, according to a recent report by the Urban Land Institute, a land-use think tank. "They are not looking to retire early and are not seeking to isolate themselves among the elderly," the report said. Baby boomer Diane Spitaliere, a 58-year-old who recently retired after working 38 years at the Federal Aviation Administration, said the idea of moving to a retirement or assisted living community "is just very unappealing to me." If there comes a point when she is no long able to live alone in her single-family home in Alexandria, Va., she'll probably move close to family members in New York, she said. Stuart Peskoe, an engineering manager, said he and his wife also want to continue living in their single-family home in the Boston suburbs after they retire, even though their children are grown and live in other states. They don't want to leave their friends and they want to keep the extra rooms for when the kids visit. But he's not sure how they would get around once they lose their driving skills. There's no nearby public transportation. The Internet and delivery services may help the couple cut back their driving trips, said Peskoe, 58. "UPS and FedEx have this pretty good deal going with Amazon and Netflix," and the local grocery store delivers online orders, he said. "More and more we don't have to leave the house if we don't want to." Automakers are banking on boomers being able to stretch out their driving years with the aid of safety technologies -- like adaptive cruise control, forward collision warning systems and blind-spot monitoring -- that are becoming more common in cars. The transportation needs of millions of boomers aging in the suburbs may build greater public acceptance of automated cars that drive themselves. Some states already permit road testing of these vehicles. "Baby boomers have always been an active generation who want to go places, so we don't see them sitting in porch rockers upon retirement," said Gloria Berquist, vice president of the Alliance of Automobile Manufacturers. "They will want the freedom and mobility of a vehicle." Demographers have noted an uptick in retirees moving to central cities where they're less dependent on being able to drive. Because there are so many boomers, if a significant number move to central cities, it could drive up housing costs and force cities to make greater accommodations for the elderly, such as more benches at bus stops or a slowing of the timing of pedestrian crossing lights. But the history of boomers has been that they often do the unexpected. Charles and Pamela Leonard, both 65, recently gave up their careers and traded their home in downtown Atlanta, where they could walk to restaurants, grocery stores and public transportation, for a small farm near Lexington, N.C., where they grow organic medicinal herbs. Pamela Leonard said the couple isn't sure what they will do when they are no longer able to drive except, "I will not drive until my children have to take the car away. That was an issue with my mother, and I hope I've learned from that." "It's very hard to know how you will deal with old age until you get there," she said. "But I think more options, creative options, are going to become available."